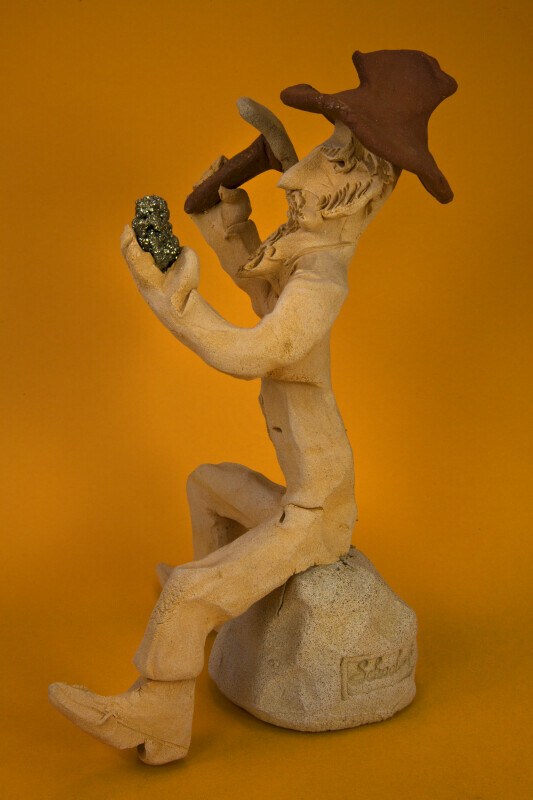 The side view of the miner made from clay clearly shows the miner's pick in his right hand and the piece of pyrite in his left hand. He is sitting on a large rock. He is sculpted from rough clay by Tom Schoolcraft. This figure stands 8 inches (20 cm) tall.